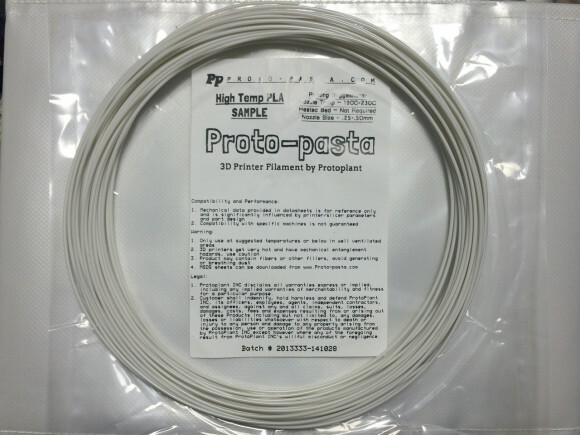 The filament maker Proto Pasta has released new version of their High Temperature PLA filament that looks very promising for anyone looking to work with PLA filament, but get much higher resistance to high temperatures that could be similar or even better than that of ABS. Earlier this yeat we have tested the original Proto-Pasta High Temperature PLA Filament and it did quite well, but it offered heat deflection of up to 88°C and the new version of the filament promises up to 140C. The print parameters are apparently similar to that of standard PLA filament, but with the High Temperature PLA you will need to heat threat the 3D printed part after it is ready. Proto Pasta have used an oven at 110C for about 30 minutes with good results and they do recommend leaving the supports on your parts, placing them on a non-radiating surface (like glass, ceramic, or composite), and letting them cool in the oven to minimize distortion. 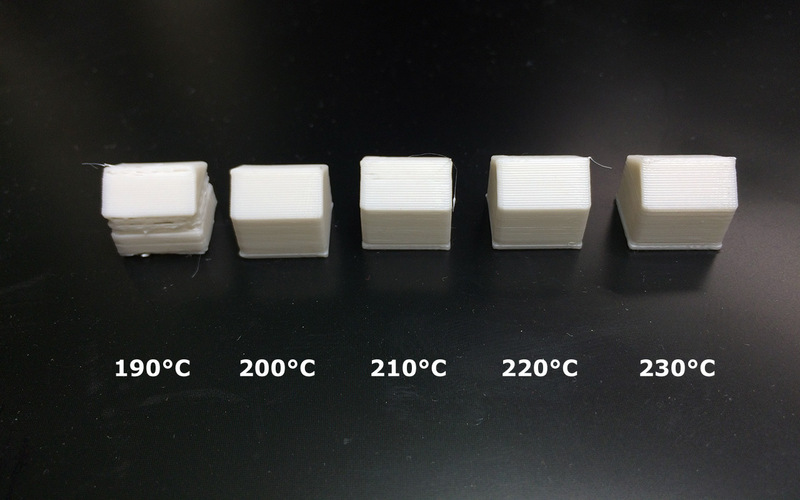 Parts can be annealed at a lower temperature (though must be above 60C) for a longer time with less risk of unwanted deformation. 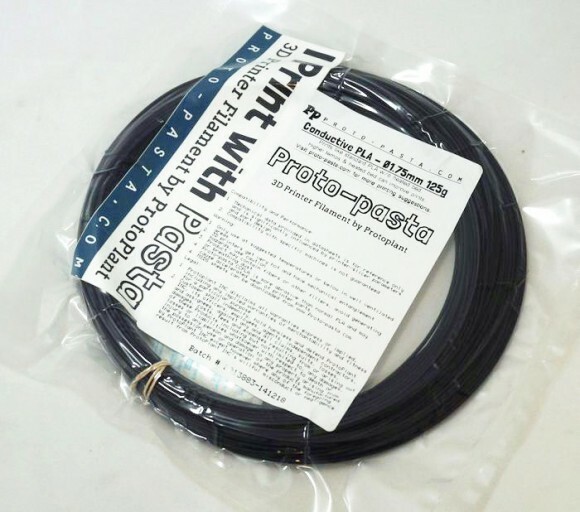 There is an obvious visual change indicating the improved performance of the filament. 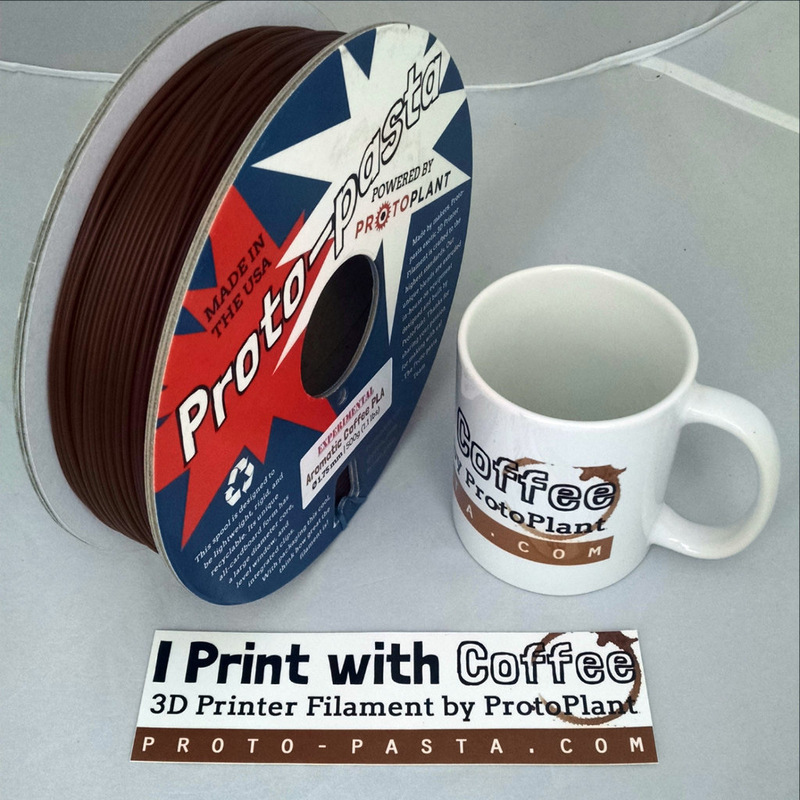 The new Proto Pasta High Temp PLA v2.0 is available in two variations – standard with Iridescent Ice or Silver Smoke color as well as a special limited edition Aromatic Coffee PLA. Both are available in 1.75 and 2.85 (3) mm diameter and come on 500 gram spools with a price of $35 USD at the moment. The Aromatic Coffee PLA comes with a nice pearlescent, translucent bronze color when printed and becomes very wood-like when annealed and releases an invigorating roast coffee scent when heated.